The Chester canal was an English canal which linked the town of Cheshire and Nantwich with the river Dee at Chester. 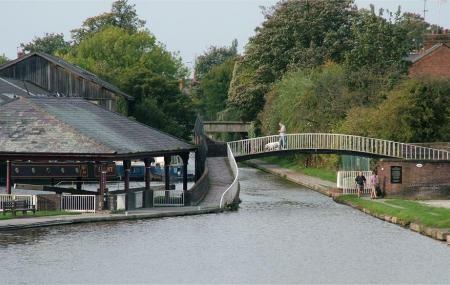 You can enjoy a walk along the canal and enjoy your day with your family and friends. The canal is a perfect place to be on sunny days as the place displays picturesque and heart stopping landscape. So take a day out and take a walk on the famous Chester canal. Buses can be taken from nr Canal Street station to the destination. How popular is Chester Canal? People normally club together Cheshire Military Museum and St. John The Baptists Church while planning their visit to Chester Canal.